Sadly, I am going to miss Duran Duran Appreciation Day festivities this year. As I lamented earlier in the week on social media – this is the year where nothing goes quite as planned. Instead, I’ll be driving back to the OC from a quick trip north. It can’t really be helped, but that doesn’t mean I’m not sad about missing out. It’s weird to me, because if all had gone as originally planned, I would be in Las Vegas right now, preparing for our convention. I hate thinking about that because I really wanted to do it, and while I know there’s no way I could have actually pulled it off, I sure wish we were there! I’m hoping for better DDAD showings in the future from Daily Duranie, that is for sure. We need a real party! We do appreciate Duran Duran. More than they know, really. We write about them nearly every day in one capacity or another. I love that there’s a holiday for them, though! I know that our goals with writing the blog has changed over the years. It is an elastic sort of thing, I suppose. Right now, I use the blog as a sort of escape, but also as a way to solidify myself. 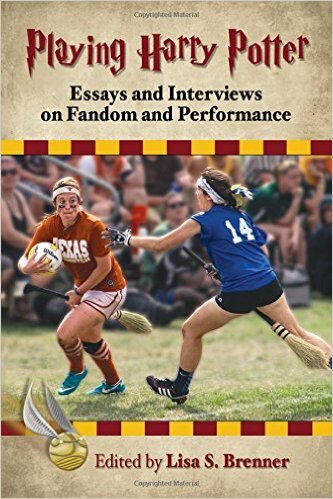 I sometimes still have to figure out how to allow myself “space” to be a fan, and I use the blog as a place to grapple with it, oddly enough! Most of us can say that the band has been there through some of the most difficult times in our lives. The music guides us through, gives us the gentle shove when we need it, and even some hope that things will get better. I know it’s helped me. Right now, as I start really saying goodbye to the only house my kids have known, the place we held so many birthdays, holidays and family get-togethers, along with all of the memories held within (my darling son once took his teeth and ran them the entire way down our wooden stair railing – the grooves are still there. Yes, he’s still alive to tell about it! ), I listen to the band a lot. Moving is rough, life can be crushingly painful, but music helps. I hope everyone is able to take time and enjoy that they’re fans of a band that is still out there creating, even in 2018! We are so lucky to still have them out there, writing, recording and performing – and even communicating with us on occasion. That’s definitely worth celebrating! 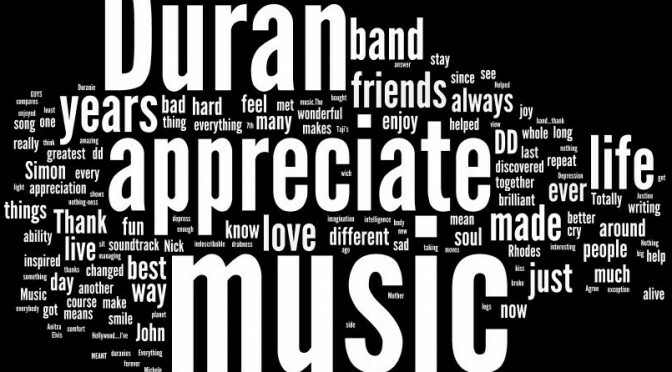 Happy Duran Duran Appreciation Day, everyone! Have a wonderful day tomorrow!